1. Her self confidence has never wavered—She started as an intern with the others, but came out of the gate maximizing her procedures hours and stating what kind of surgeon she would be. Maybe Izzy floated around not knowing which sub-specialty to take up and maybe George was trying to listen to his heart to figure himself out and maybe Meredith was fighting the shadow of her eponymous mother, but Cristina was all focus, all the time. 2. She stayed true to her priorities—Yes, there was some weak dialogue between her and Owen and her and Meredith about excelling in a career versus raising children, but I’m also heartened that Grey’s hasn’t ever glossed over the labor that child rearing is and the toll it takes on parents. For her part, Dr. Yang has been consistently clear that she intends never to parent. Now then, it’s time to scrub in. I appreciate her commitment. 3. She is always a good friend—Even if she was angry at Alex she would sit down and talk with him in a quiet hallway or at Joe’s Bar. She distanced herself from Izzy after that Dennis mess but was still a good listener with her through her short marriage to Alex and her cancer. And the tight sisterly bond with Meredith has sustained both of them over the years. 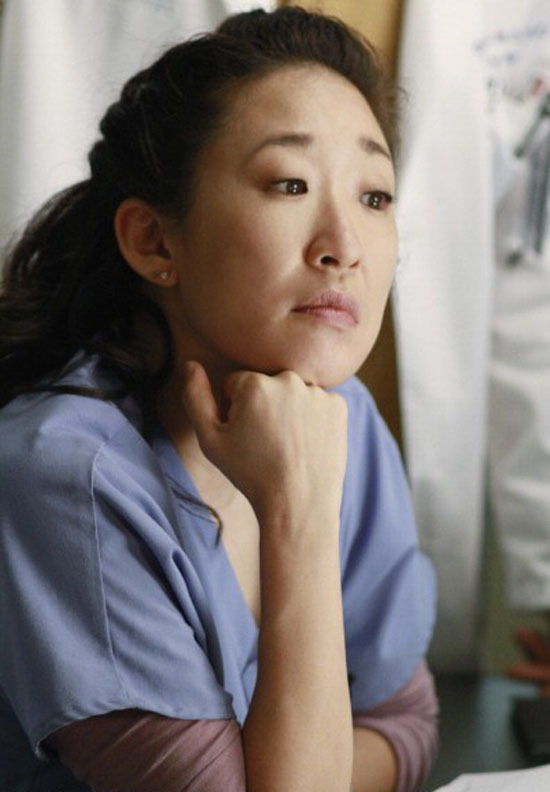 The audience can’t write Cristina Yang off as an emotionless, surgery robot. Because she’s very generous emotionally. 4. She is terrific in a crisis, but human afterward—Even if a broken pane of glass crashes into her abdomen, Dr. Yang has her isht together. Or when say, a fallopian tube bursts inside her. She held it together for a while after that but did grieve with her then-partner, Dr. Burke, shortly afterward. 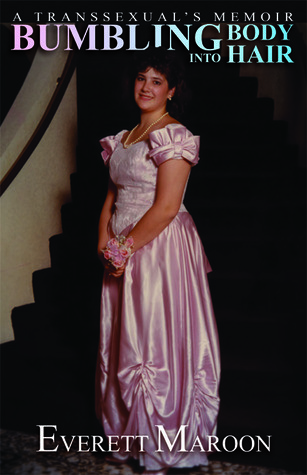 When there was a shooting rampage at the hospital, Cristina found a refuge. It did take her several weeks to get through her trauma, and she was barred from operating because she couldn’t keep calm. (Thanks, McDreamy, for bringing her back.) While most of the staff at Seattle Grace picked on each other, Yang picked on herself. Which is nicer. Sort of. And when she’s on a plane with the other doctors that crashes in the forests of Idaho, it’s Yang who even with a dislocated shoulder, tends to her friends, even when she knows they’re dying or gravely injured. Let’s face it, we wouldn’t have had a whole season of Arizona moaning about Callie amputating her leg, because Arizona would have died were it not for Cristina. 6. She went from being a terrific student to being a terrific mentor—Many people are decent at one or the other, but Cristina is talented on both sides of the mentor relationship. After Burke left she worked with Dr. Erica Hahn who was extremely tough on Yang, mostly because Yang reminded her of her earlier self. When Cristina briefly went on to a fellowship in Minnesota, she bonded fast to Dr. Craig Thomas (played with oh-so appropriate former St. Elsewhere actor William Daniels) and learned a whole different generation’s thoughts on cardiothoracic surgery, until he passes away. Back in Seattle she takes on mentoring a young resident, Dr. Shane Ross, and convinces him to become a “shark,” meaning that he should walk in Yang’s shoes. He does his best, having issues with overworking himself in the next couple of seasons. Because it’s hard to be Yang. 7. She is changing her field and her career has only begun—We’ve spent a lot of time watching Yang and Grey’s friendship get closer, get bumpy, unravel (that damn 3D printing machine!) and repair. In some ways Meredith and Cristina have gotten everything they’ve wanted, and in so doing, they now are both faced with the “what next” in their lives. Meredith has two children, a (finally) stable marriage, and a challenging career. Cristina has been nominated for a top surgery award and is writing scientific scholarship like the journals will stop printing tomorrow, plus she’s in a friends with benefits affair with Owen which is just where she likes him. But people are looking to Yang for the innovations she’s already bringing to her practice, and as was mentioned in last week’s penultimate Yang episode, “You’re still so new in your career.” She’s a game changer, my friends. 8. She is a badass even in the future—We know this because Shonda Rhimes gave us a “Sliding Doors” episode in which Yang had children with Owen and in which she didn’t with Owen, and while they were definitely crappy futures (i.e., get as far away from Owen Hunt as possible, tout suite), she was still a badass speaking truth to ridiculousness. Also, Cristina Yang has way more interesting parallel universes than Gwnyth Paltrow. Which goes without saying, honestly. 9. She is played by Sandra Oh—Nobody is more interesting on television to watch than her, although I’d put Glenn Close and Bryan Cranston right up there. But Close and Cranston played malevolent, manipulative characters. Oh has played a brilliant character who while driven, has used her energies for good. And in doing so she’s carved out a decade-long character who gives audiences a really terrific touch point for women. I’ll miss you, Dr. Yang. Edited to add: This Buzzfeed gif list is a nice send 0ff, too. I haven’t caught up with Grey’s yet (my boyfriend hooked me late last year and I think I’m mid-way through season 8) but I couldn’t agree more. Aside from Bailey, Yang was my favorite character. I saw a lot of the way I approach the world as an autistic in her often single-minded drive to excel at her chosen specialty (I realize her character wasn’t autistic, but she definitely exudes traits with which I’m familiar as an autistic myself). And it was so, so refreshing to hear someone so committed not to having kids, and unapologetically so. A lot of us grow up in a culture that expects women to want to raise children. There’s nothing wrong if you, male or female, do want kids. But that a show would actually give us a woman who knows she doesn’t want kids and who doesn’t (it seems, if your post is any indication of what’s to come that I haven’t yet seen) cave on that resolve later on…well, that’s completely refreshing. We need more of it.